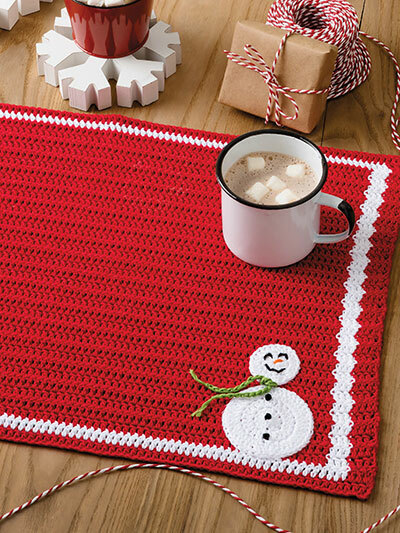 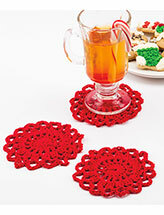 Crochet a set of these festive place mats and add a touch of holiday fun to your home this season! 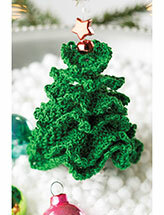 Design is made using #3 DK-weight yarn and size E/4/3.5mm crochet hook. 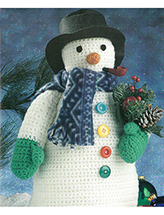 Finished Measurements: Place Mat: 15" x 20"; Snowman: 4 1/4" T x 2 3/4"W.